In this month’s ADG Mountain Talk, we sit down with Wes Kryger from Greek Peak to hear how the effect of adding an indoor waterpark lead to the addition of the mountain adventure park and creating an overall family destination experience. As the weather becomes more and more unpredictable, mountains are finding that the time has come to start looking at summer activities not just as a supplemental, but rather lucrative, source of revenue to attract and retain guests to their resort year round. And what many mountains are discovering is that summer business, is definitely NOT the same as winter business. 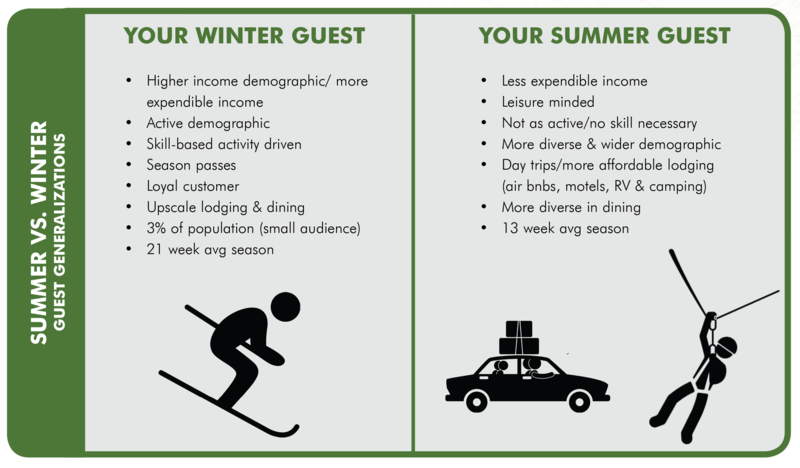 The customer is different, length of stay is determined by multiple differing factors, and understanding what summer guests choose to spend their money on weighs greatly in determining the types of attractions you choose to offer. Families have a lot of choices when it comes to choosing a summer destination experience. And whether your’re trying to fill beds or attract guests for a day trip, your mountain must find it’s own unique way to differentiate, innovate, and excite your customer.